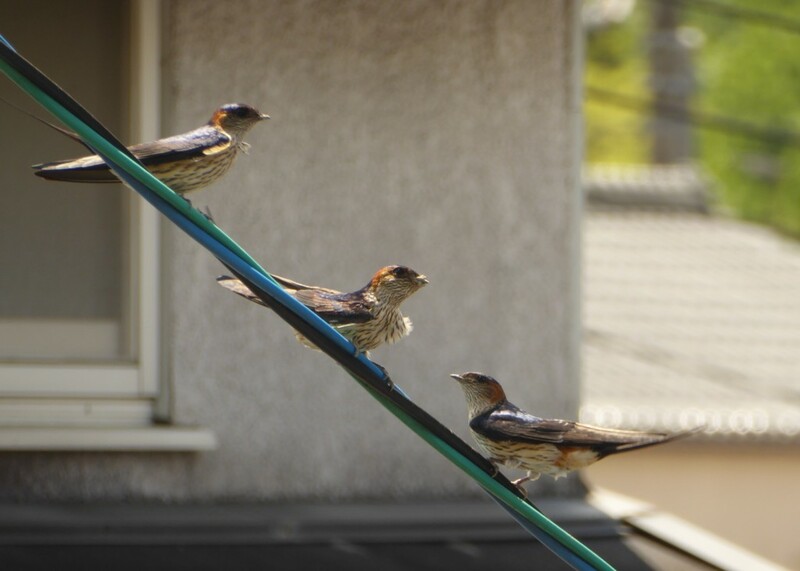 Today, I was able to take some photos of three swallows together. Is this one asking for food? 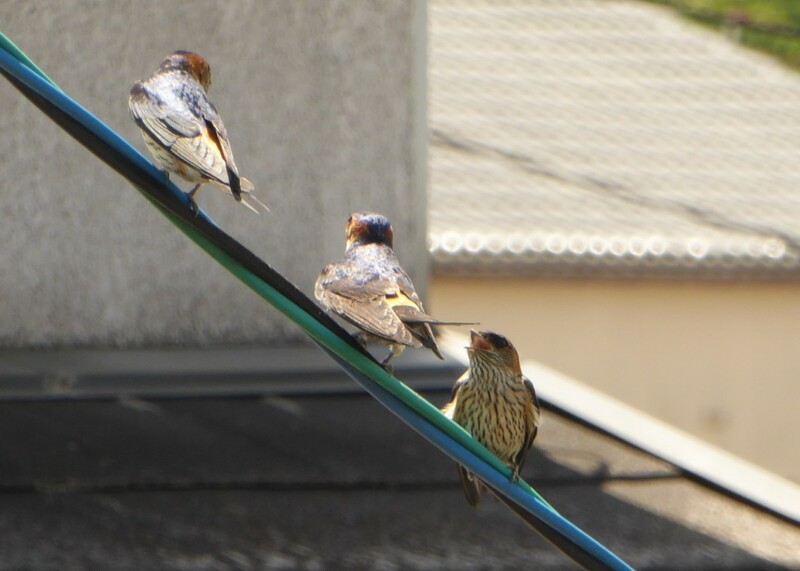 I wonder if this is a family of a couple and a chick from the previous year. 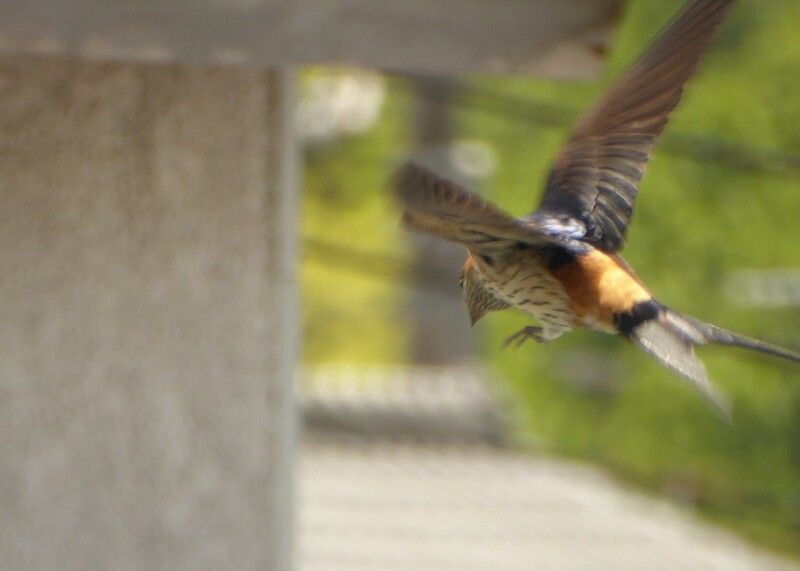 It was a little too much for my small digital camera to follow a flying swallow. 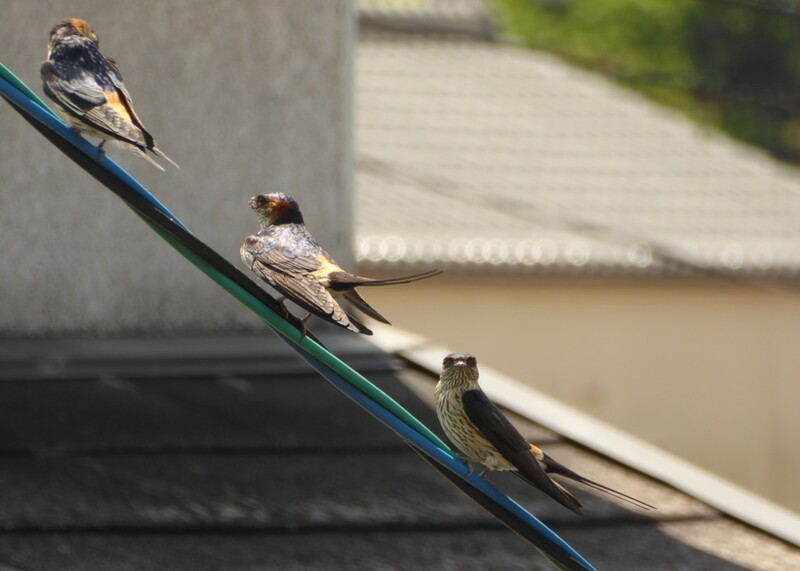 Barn Swallow parents sometimes get help from other birds to feed their young. These “helpers at the nest” are usually older siblings from previous clutches, but unrelated juveniles may help as well.